Opening hours: Usually Monday to Friday from 9:30am to 1:30pm and 4:30pm to 8pm with some variations. Many establishments have the same opening hours on Saturdays and some are open until lunchtime on Sundays. Shopping centres and many large stores do not close for lunch/siesta. 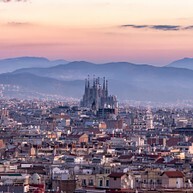 Antoni Gaudi's ambitious project remains, as of today, unfinished, which by no means takes away from its popularity - at nearly 3 million yearly visitors, La Sagrada Familia is Spain's 2nd most visited monument. The masterpiece was crafted meticulously to embody the Christian faith through composition, sculpture, and individualistic, offbeat design. 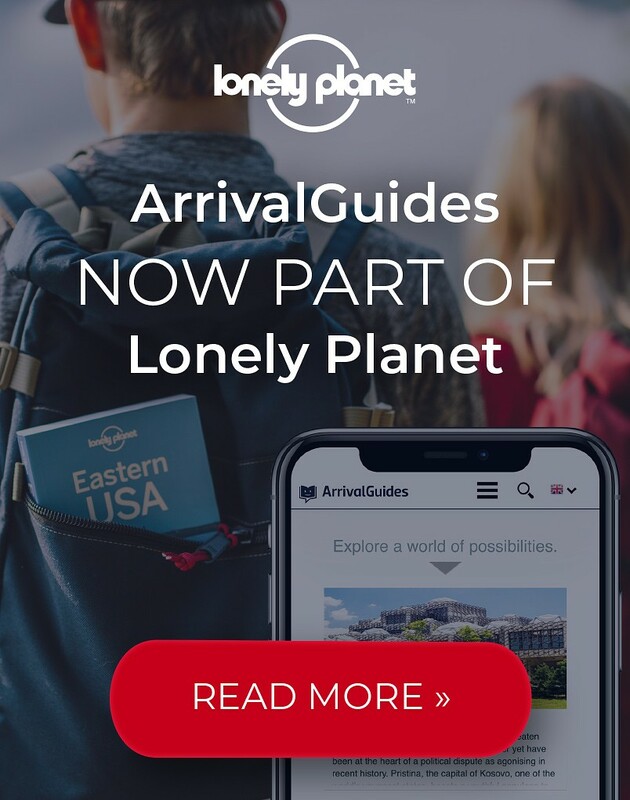 Guided and audio tours available. 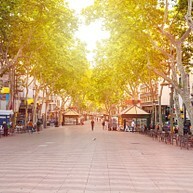 Barcelona's most well-known street is unofficially not just one uninterrupted stretch but five (hence it being known as "Las Ramblas"), each containing attractions of their own. A pedestrian-only walkway runs through the street's central section, with street artists, souvenir vendors, bars and restaurants competing for visitor attention. Another one of Gaudi's unconventional architectural creations, Casa Mila, also known as La Pedrera ("quarry", for its wacky appearance distantly resembling an actual quarry), is one of Barcelona's primary attractions. Entry tickets include a free audio guide. In this park with stunning views over the city you can admire several impeccable works of Gaudi. Actually, the entire park is designed by the artist himself. Statues and buildings in different colours and shapes stand side by side and the park is listed as a UNESCO World Heritage Site. Once Gaudi got his hands on this previously unremarkable building in Passeig de Gràcia, it was never to be simply passed by again. Fascinatingly idiosyncratic and almost beast-like on the outside, it continues to amaze from within with twisted lines and elements that could only be thought up by the genius of Gaudi. The Picasso Museum has one of the most extensive art collections by the 20th century Spanish artist Pablo Picasso. The permanent collections contain more than 3,800 works, and this is one of the most popular and most visited museums in Barcelona. 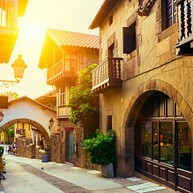 Located in one of the most emblematic areas of Barcelona, within walking distance from the Montjuïc Fountains, Poble Espanyol is one of the most attractive sites of the city for it unique setting, featuring architecture from across Spain, contemporary art, crafts, shopping and gastronomy. 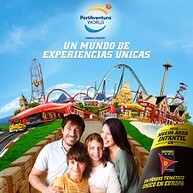 All this in a peaceful environment, ideal for children and adults. 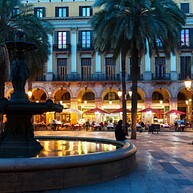 Plaça Reial, a beautiful square and one of Barcelona's busiest, most vibrant spots (especially so at night), is known for its many outdoor venues, restaurants and nightclubs. During summer time it becomes an even more popular meeting place when open air concerts take place. Stroll around or sit down with a tasty drink at one of the bars and just enjoy the moment. 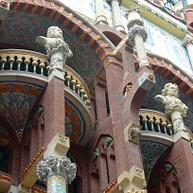 Sant Pau is Barcelona’s new wonder. The world’s largest Art Nouveau site has been restored and invites you to enjoy one of the most emblematic works of architect Lluís Domènech i Montaner. 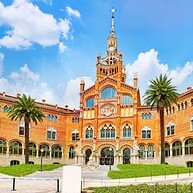 Declared World Heritage Site by UNESCO in 1997, Sant Pau is a city within a city, 12 buildings of great architectural value surrounded by gardens where history and architecture exist side by side. FC Barcelona is much more than just a football club. Sometimes it feels as if it carries the whole nation’s pride on its shoulders. Even those not interested in football will enjoy a visit to this grandiose stadium. One reason is the large number of well-dressed spectators, another the masterful architecture of the arena. Leave the busy streets behind you for a moment and visit Barcelona’s museum of modern art. 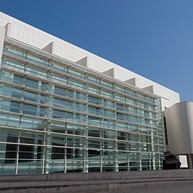 MACBA is short for Museu d'Art Contemporani de Barcelona, and showcases Spanish and Catalonian art from the 20th century. This sublime concert hall designed by Domènech i Montaner a hundred years ago is not quite as wacky as some of Gaudi’s architecture. It is actually more representative of Modernism. 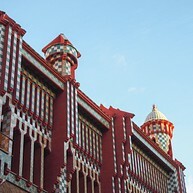 The Palace of Catalan Music not only pays tribute to the musical heritage of the Catalans but to all music—as well as beauty, colour and joy. Barcelona’s most beautiful church is probably the best existing example of the Catalonian Gothic, with a cleaner style than normally associated with Gothic architecture. The church has a wonderful feeling of spaciousness and weightlessness emphasized by slender pillars and very sparsely decorated chapels. 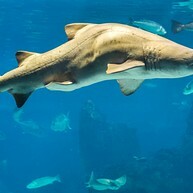 The sharks are the stars at this Mediterranean themed aquarium, but you will be able to see almost all different kinds of marine species here. 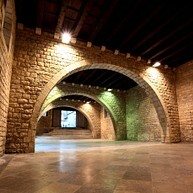 The Aquarium is situated at the end of Las Ramblas and is very close to the city centre. When here, make sure not to miss the tunnel where you can spot stingrays, sharks and many other fish swimming around and above you.